With the local river still full of weed and an unappealing colour I decided to head down to Marsh Farm to see if the crucian carp wanted to play - and I'm glad I did! 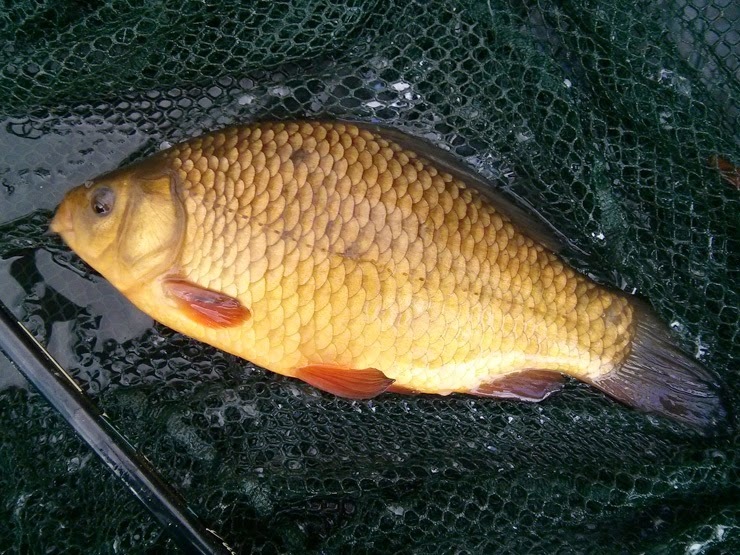 I spent the morning on Richardson (match lake) where it was a bite a cast, landing 4 tench to 2lb, lots of skimmers and little roach, 2 perch and my target; three crucians to just over a pound. The afternoon saw me heading over to Harris (specimen lake) and a rain storm had driven everyone home, I had the pick of the place. 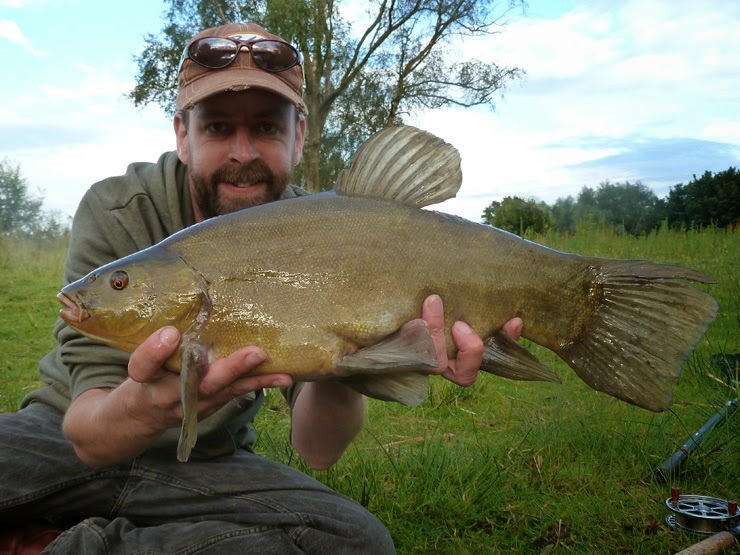 It took a while to build a swim, but when one tench arrived - they all did! The action was so thick and fast I totally lost track of how many tench I caught (I only caught tench). The smallest was over 3lb, with most of them over 4lb, the biggest went 5lb 2oz, top photo - new personal best - got my five pounder! The biggest female went 4lb 15oz, below. It's hard to work out a weight for the afternoon (I only weighed the two that I thought might scrape over 5lb), but it wouldn't surprise me if it was over 100lb... What an afternoon's fishing! Great fishing. 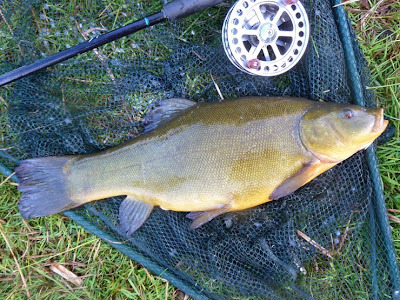 Well done on some nice tench sir. Cheers Paulo's, need a day like that once in a while! Thanks... But I still need a barbel or two... Or at least 10 this summer. Fingers crossed for some better conditions. Nice Tench there. Off to Bury Hill for some of the same on 12th July. Cheers. Good luck on Bury Hill, while you're there can you let the zander know I'll be up to see them in October - we missed each other last time - thanks.